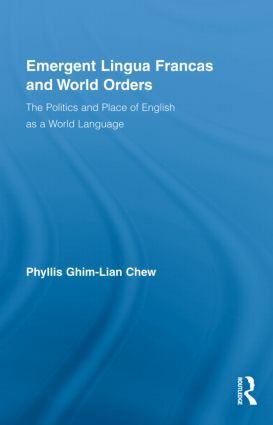 This book presents an alternative paradigm in understanding and appreciating World Englishes (WEs) in the wake of globalization and its accompanying shifting priorities in many dimensions of modern life, including the emergence of the English language as the dominant lingua franca (ELF). Chew argues that history is a theatre for the realization of lingua francas, offering a model that shows the present as derived from the past and as a bearer of future possibility, the understanding of which is rooted in the understanding of World Englishes and ELF. The book will engage with some of the current theoretical debates in WEs and includes, as a means of fleshing out the model, sociolinguistic case studies of Arabia, China Fujian, and Singapore. Phyllis Ghim-Lian Chew is Associate Professor of Sociolinguistics and Language Teaching Methodology at the National Institute of Education, Nanyang Technological University. This series is our home for innovative research in the field of sociolinguistics. It includes monographs and targeted edited collections that provide new insights into this important and evolving subject area.